This Website is a source of high quality information covering the best of Australian experiential luxury. You are free to use the content including the downloadable brochures and/or the videos, text and images to promote the lodges. If you wish to use the website content as it stands, please attribute it as follows: 'Originally published on www.luxurylodgesofaustralia.com.au'. This attribution means you avoid being penalised by search engines for having the same content as another website. Click on the highlighted link to download. White-label eBrochure - Please email us if you are interested in using a LLoA eBrochure (PDF format) 'white–labelled' with your contact details and call–to–action. There is no cost for the eBrochure but we do need an understanding of how you intend to use it to promote Australian experiential luxury. Hi Res Image download library - Please refer to the image download library for one stop easy access (no registration required) to high resolution images for all the Luxury Lodges of Australia. Narrated Training Videos are also available in 7 languages. The Overview video is a 5 min visual motivational video showcasing the Luxury Lodges of Australia destinations. You can download the video here. English language - a smaller (79MB), web-friendly version of the video here, or, a large (1.4GB), high-quality version for large screen presentation here. The videos can be used in many ways to assist with training, educating and inspiring staff and clients regarding the new era of experiential luxury in Australia. A video link can be embedded in updates or training materials to travel planners, emails to clients, newsletters and other communications. The video could be played on screens at client evenings, shown in retail stores or other venues where there is a screen for clients to watch. Accommodation Summary - This document is a summary of accommodation configurations at each of the Luxury Lodges of Australia. Each lodge is different, not just by virtue of their remoteness, their special location and the small number of guests they accommodate at any one time. Many of the lodges offer a rate that includes accommodation, food and beverage and importantly, signature experiences. Family Friendly Lodges – This page indicates family and child policies and rooming options for all the lodges offering an easy reference point when planning trips for families. Suggested Itineraries - These suggested itineraries are examples of how to create unforgettable journeys by highlighting and linking a selection of luxury lodges and camps and the experiences they offer. Signature Food and Wine Experiences - At the lodges epitomise the essence of Tourism Australia's 'Restaurant Australia' campaign. This is about the rich diversity and quality of the Australian food and wine culture. The food we eat. For a summary of signature and bespoke experiences made available at or by the lodges click here. Aboriginal Australia Connections - Many of the Luxury Lodges of Australia are located in parts of the Australian landscape of especial significance to our Aboriginal culture. Lodge activities can include exclusive or private access to some of these people, places, artworks and uniquely Australian stories. For a summary of these experiences click here. Traveling between lodges - Plan Your Trip Itinerary function – offers clear information about getting between any two properties – door to door - and is an invaluable tool for travel planners. What's Included? - The Luxury Lodges of Australia are owned and operated independently of each other. They also operate in enormously diverse locations and environments. Most offer a rate inclusive of a range of meals, beverages and importantly, experiences. However the inclusions in an all-included tariff are not generally the same. Here is a one-stop summary of what’s included by the lodges offering an all-inclusive tariff. WiFi, internet and Mobile (cell) phone access - This page gives a summary of WiFi, internet and mobile access for all the lodges. 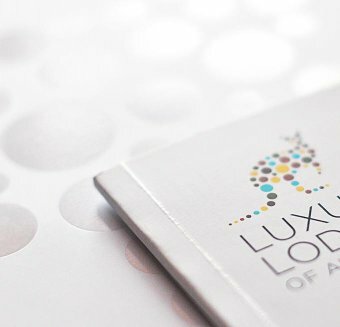 LLoA Representatives - Luxury Lodges of Australia maintains representatives covering North America and Europe/UK. The primary role for these dedicated representatives is to assist with training and education for members of Luxury Lodges of Australia – the high-end experiential sector of Australian travel. A summary of accommodation configurations at each of the Luxury Lodges of Australia. Each lodge is different, not just by virtue of their remoteness, their special location and the small number of guests they accommodate at any one time.